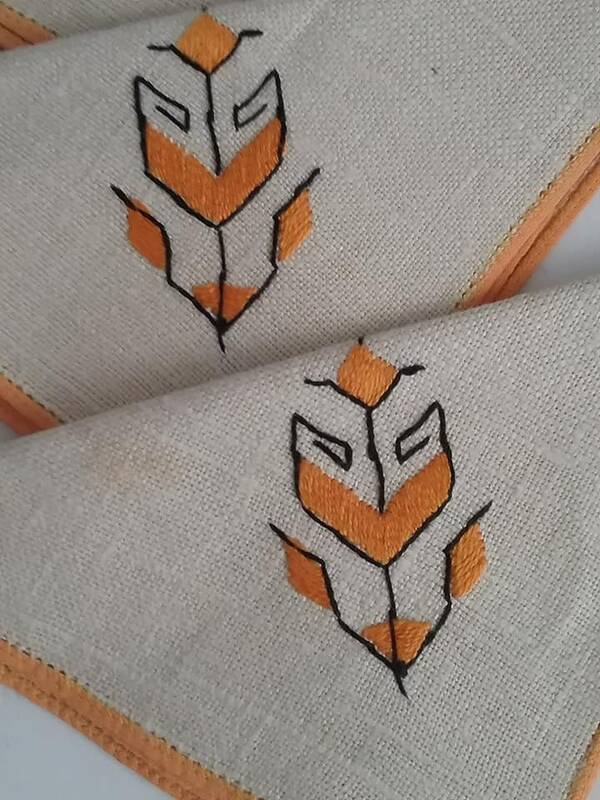 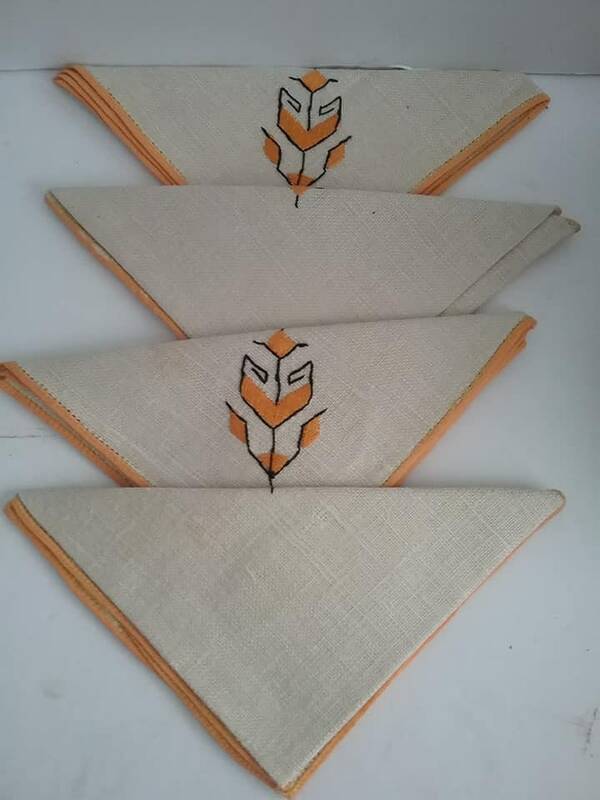 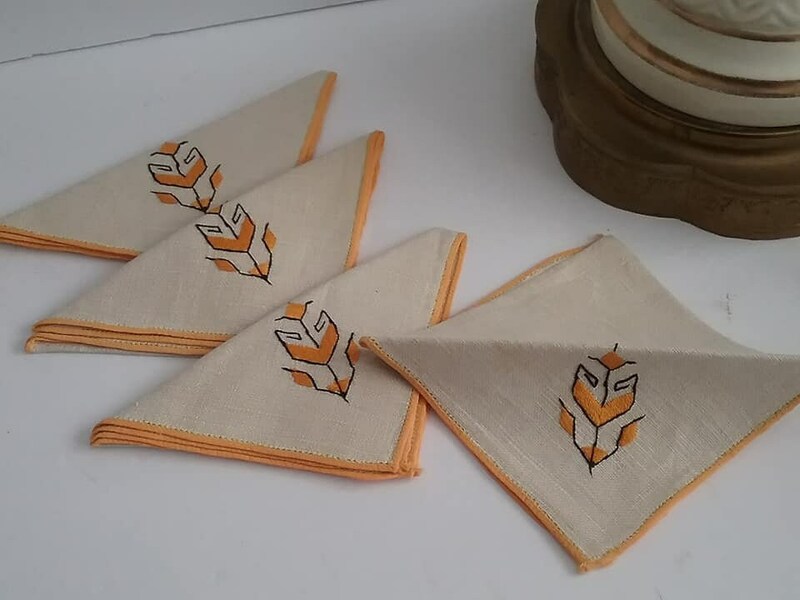 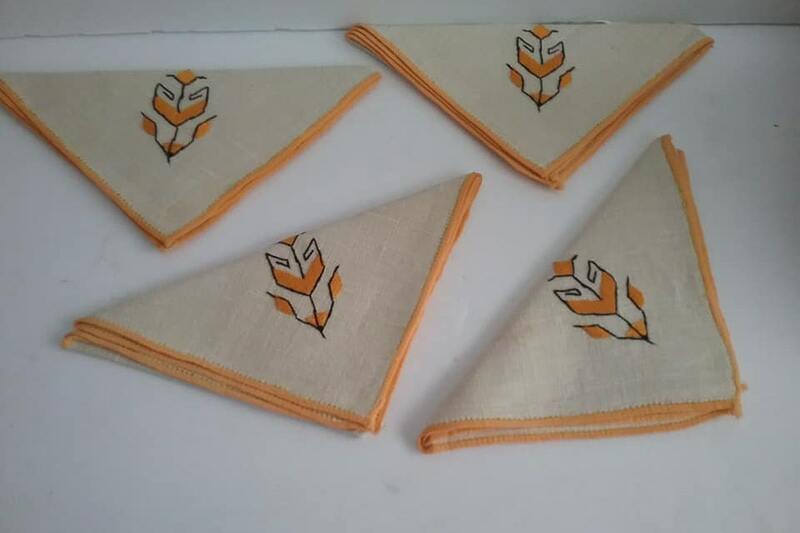 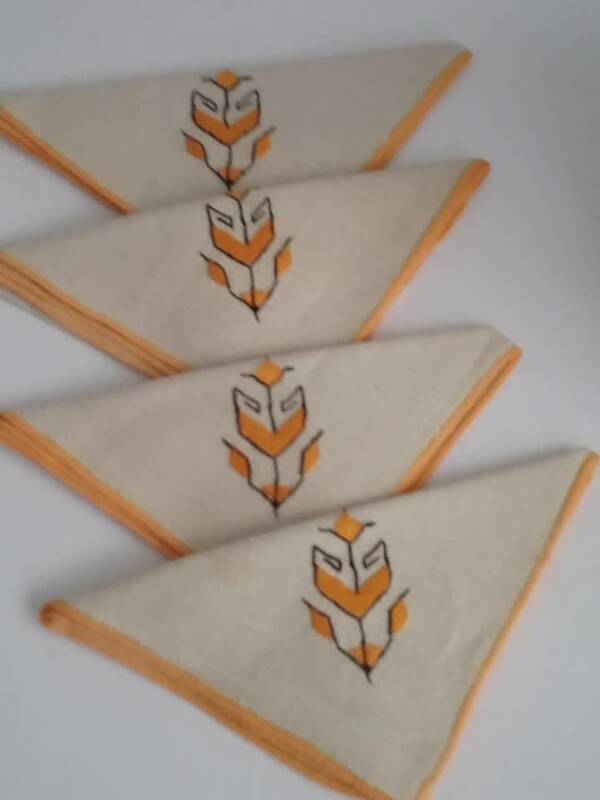 Set of four mid-century mod, unused, 10" square fabric napkins. 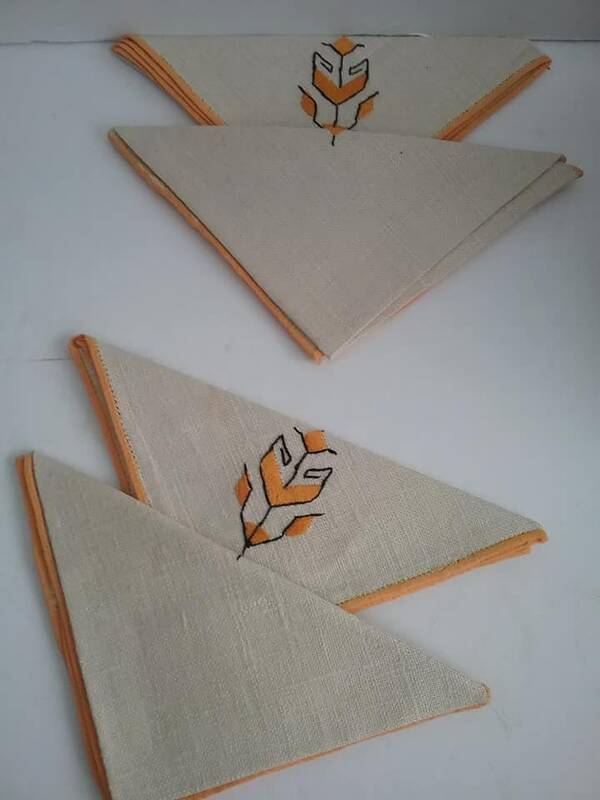 Embroidered orange, brown and black art deco flower on a creamy-beige, cotton/linen blend. 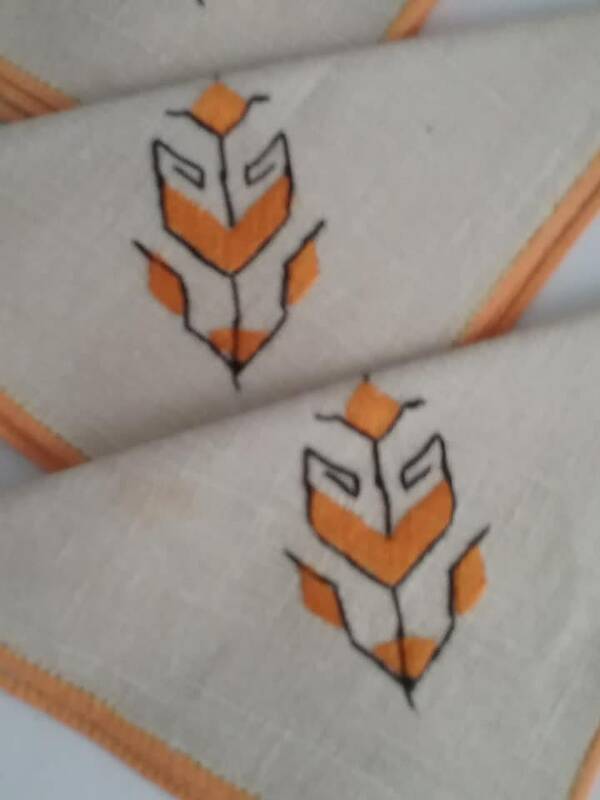 Edging is done in an orangy-yellow embroidered ribbing. 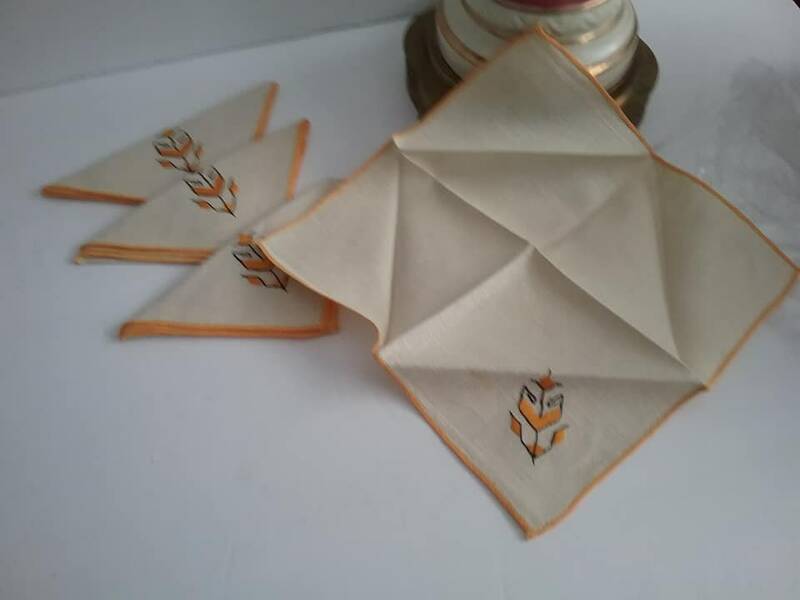 Excellent vintage condition....these will set your table for your next dinner party.